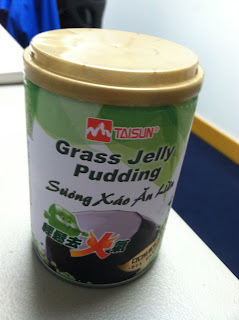 Grass jelly pudding - a healthy concoction of grass jelly in a jellified form. It tastes like sweetened herb jello, which granted it is. Not bad for the price ($0.75/can) and taste (sweet but medicinal like). 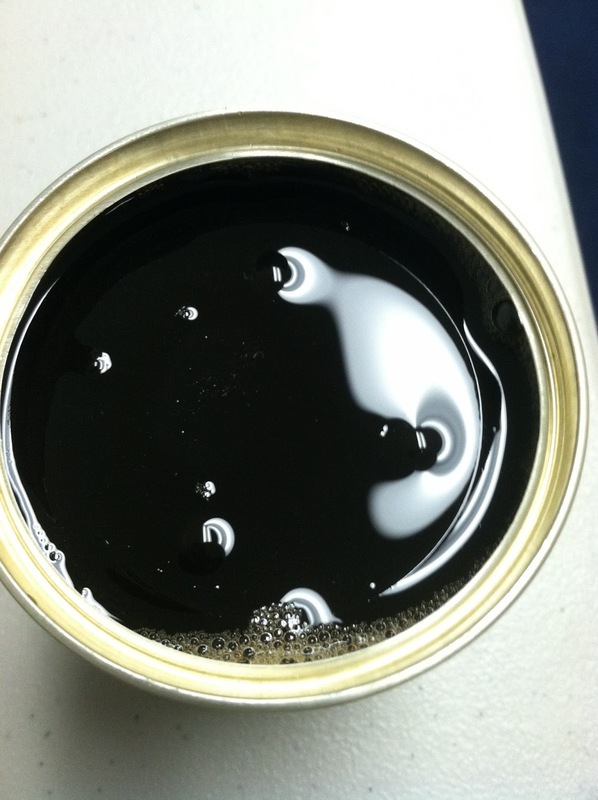 This is the type of thing you'd be grossed out at first, but end up liking it because of its subtle and very healthy taste. It's a cooling thing in Chinese medicine to reduce inflammation or fevers. Lice - I mean rice - milk. Organic rice milk that is. 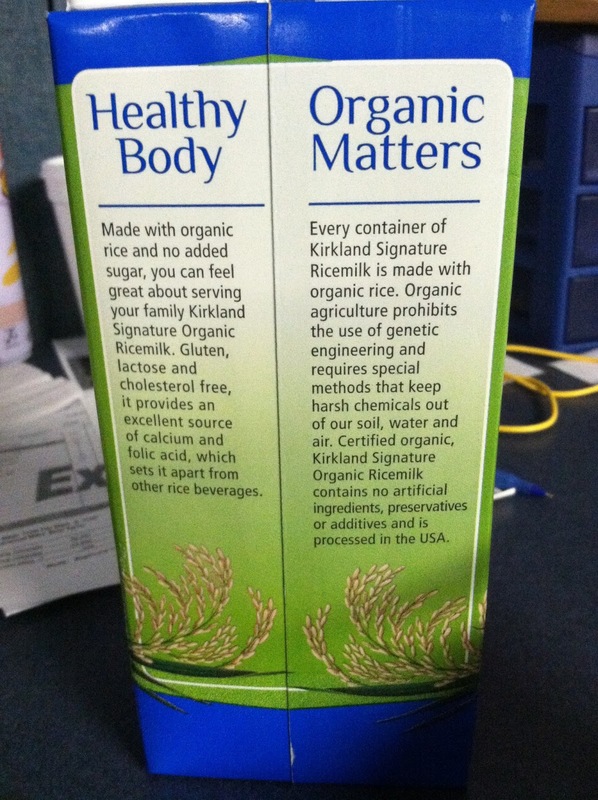 Kirkland organic rice milk to be exact. This is the stuff that my parents buy by the cartons at Costco, and they gave me one to I guess to get more nutrients in my otherwise junkfood diet. 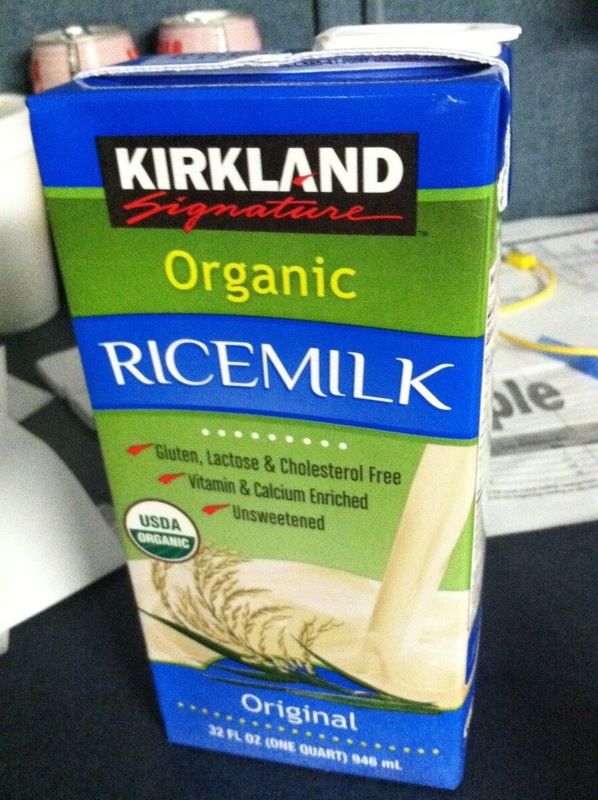 This one tastes just like watery milk, except without the milkiness. 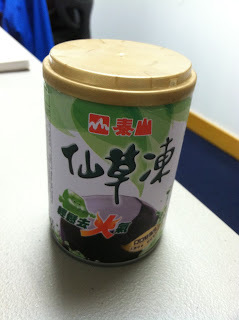 So I guess it tastes like water, but with a subtle hint of rice. It's pretty good I guess for the amount of nutrients (I'm assuming it's a lot). But I would really love to try making my own next time.